A group of current and former politicians, as well as Jersey bloggers who campaigned for almost a decade on subject of Child Abuse, and who fought for the Independent Abuse Inquiry to take place have said they are awaiting with ‘great anticipation’ the publishing of tomorrow’s report into child abuse. Speaking on behalf of the campaigners, Deputy Montfort Tadier said, “This was a hard fought battle and the Inquiry would not have happened were it not for a handful of committed individuals in the States Assembly, careleavers and members of citizens’ media, who successfully campaigned for the Inquiry to take place. First and foremost, we must recognise that systemic child abuse was allowed to take place in state institutions, and elsewhere, over recent decades, to some of the most vulnerable children in our society. For some survivors and those close to them, there may never be true justice or closure, but today we can stand with them in solidarity and recognise their pain and trauma. 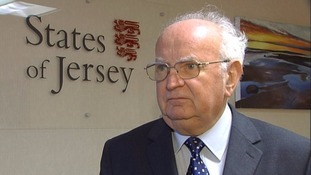 During the giving of evidence, many witnesses spoke of ‘the Jersey Way’; by this they meant a culture in which reporting abuse was difficult, where they weren’t listened to, where whilstleblowing was almost impossible, where the island’s reputation came before the safeguarding of the vulnerable and where complacency was the norm. NOTE- Due to the timing of the publication of the report, the Campaign Group will be making a public statement on Tuesday at 1pm , in the Blampied Room, States Bulimg, Royal Square. Members of the media may attend and ask questions. The Death of the Jersey Way? "There is no hiding place in Jersey for anyone who abused children or, who in any way may have colluded with that abuse [my emphasis] and no stone will be left unturned to bring them to justice." Monday 3rd July 2017 is an important day for Jersey. For those of us who campaigned for the establishment of an independent care inquiry for Jersey, and more generally for abuse victims and survivors, tomorrow's publication of the Jersey Care Inquiry report into Child Abuse represents the culmination of nine years of campaigning. 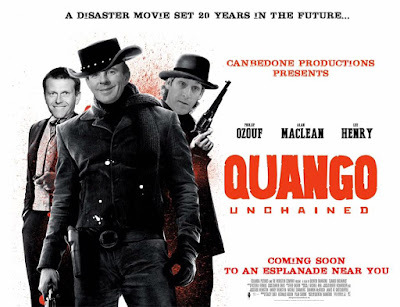 Despite the words of the Chief Minister at the time, a committee of inquiry was not an inevitability. Indeed, were it not for the dogged determination of care leavers, a small handful of politicians and, crucially, bloggers such as Rico Sorda, Voice for Children to name but two, the inquiry would certainly have never happened. 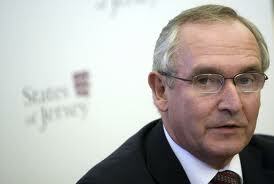 considers that a Committee of Inquiry would not be appropriate." Thankfully that was not the end of the matter: my colleagues at the time Senator Françis Le Gresley, deputy Bob Hill and Daniel Wimberley tabled a counter-proposal and amendments, asking for an Inquiry into the Child Abuse and subsequent cover-up. Other key proponents were former Deputies Trevor and Shona Pitman, current members like Mike Higgins. Credit should also go to Senator Ian Gorst, with whom we worked over many iterations to find acceptable and thorough terms of reference for the Inquiry. Welcome to the first Episode in what I hope may become a more regular feature on Jersey Social Media - "The Jersey Trews". 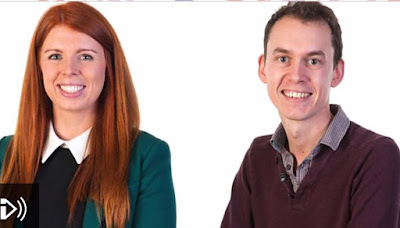 The Jersey Trews aims to bring you a more in-depth picture of the local stories of public interest that the local mainstream media are unable or unwilling to cover. This week's episode focuses on the highly unusual event of the Jersey Assembly agreeing to release an otherwise 'confidential' transcript of a States debate of 2008, where the then-HomeAffairs Minister, Andrew Lewis, informed the Assembly of his decision to suspend the Chief of Police, Graham Power. At the time, Deputy Lewis claimed to have read a "damning report" of the Metropolitain Police which gave his grounds to suspend the Police Chief. However, since that time, it has been asserted by many, including Napier, former Senators Le Marquand and Senators Syvret, that this could not have been the case. I will add more to this in due course, but for the time being, do watch the attached video, which I think explains in layperson's terms some of the key points which seem to have by-passed much of the Mainstream Media (MSM) reporting. Is Jersey a One Party State with its own Radio? So just where is the political debate? 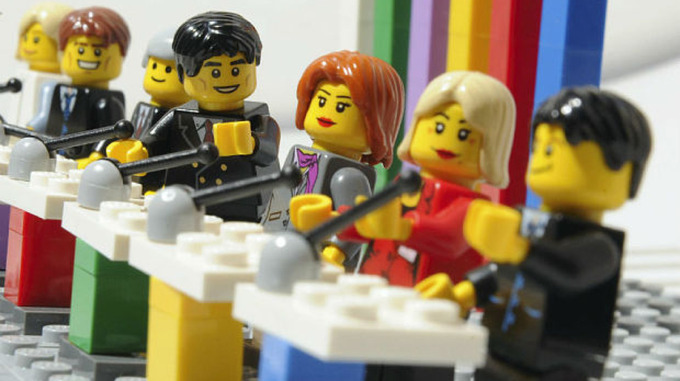 We are often told that 'choice' is what distinguishes democracies from dictatorships, but what happens when those in power refuse to engage in political debate with those in opposition? Again, as is usually the case for the representatives of the de facto Jersey Tory Party, when asked by the BBC to join Reform Jersey in the studio for debate, they refuse. To make matters worse, the presenters of the local BBC seemed to take personal offense, this morning, when I challenged the Ministers on their continued absence and their lack of mandate, to the point that the usually cheery and polite anchor chose to keep his head down and ignore me rather than engage in the customary civilities. On top of that, there was an attempt to frame the debate as an 'abstract argument' which had already been dealt with in the States this month, rather than an ongoing reality, which was only now starting to afflict suffering on real people, in the real world. The BBC in Jersey must really up their game and shame politicians who consistently refuse to engage other than on their terms. They should offer truly insightful, incisive and interesting political discourse, rather than trite, lazy apologetics. It is the job of any [indepedndent] media to act, as a check and balance on Government, as a Fourth Estate. In Jersey, they may as well be on the States payroll. But the Government themselves must also interact. I or Reform Jersey do not claim to have all the answers, but we can't always be wrong! Let's have meaningful debate and let people decide for themselves what to think. 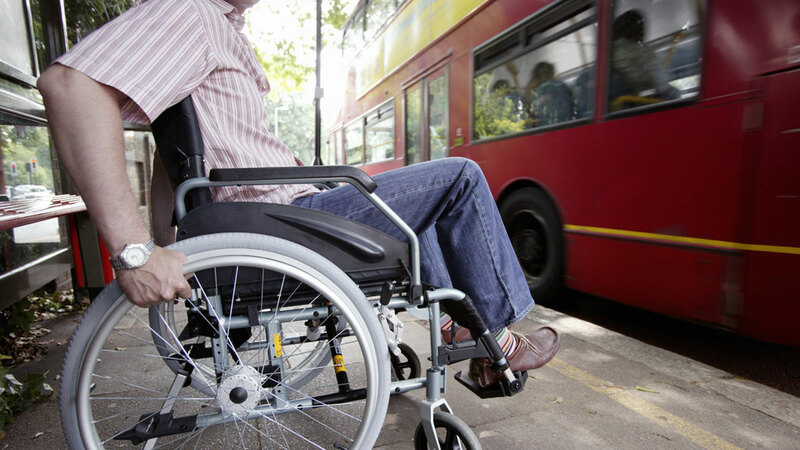 ‘These [disabled] people need to have access to public transport which is free.’ – Deputy E.J. Noel of St. Lawrence, seeking election as Minister for Transport and Technical Services, 6th November 2014. Today, I lodged an amendment to the Medium Term Financial Plan asking for the £100, 000 that was to be allocated by the Privileges and Procedures Committee to States Members Pensions to be put to the (arguably better) cause of providing free bus passes for disabled residents in Jersey. As I explain below, this sum may or may not be enough, however, it will be a start and, more importantly, it will force a States decision on the matter and keep the pressure up on the Minister to deliver on his election promise. 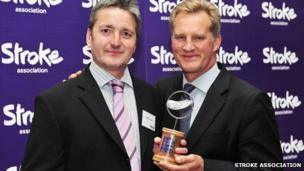 The issue of free access for disabled people to public transport came up at the very first senatorial hustings at Grouville in 2014 when well known Jersey man, Anthony Lewis, whose courage following a stroke was an inspiration to all, asked 'I have not been able to get a disabled bus pass; do we do enough for disabled people in Jersey?' The responses were interesting; What is particularly striking is just how many established and long-serving politicians - including the Treasury Minister and a Former Social Minister - were unaware of the fact that disabled people in Jersey do not and did not (then) have free concessionary passes. Strange that. Senator Ozouf: "I didn’t know you couldn’t get a bus pass. Many of us would want to fix that. More money is going into healthcare spending." Dr. Cameron: "We can do a lot more. I have concerns over the way the Impairment Benefit is assessed, it’s not fit for purpose. The Jersey Disability Partnership is there and we do need to listen more to people like you to inform our policy in future." Senator Routier: "No we’re not doing enough. I am the Chair of the Service Users’ Forum and wasn’t aware of this issue of not having a bus pass. We’re having a Transport Policy Review which I’m sure will put that in there." Senator Farnham: "I’m embarrassed to learn you couldn’t get a bus pass, you should be able to; something has to be done about that. A lot more could be done, keep campaigning and I’m sure you’ll continue to get results." Senator Maclean: "The question is why you should have had to come to a Hustings to raise this issue, you shouldn’t have had to, we should’ve known about it and been able to deal with issues to do with disabled people, if we can’t help as a government people who are in genuine need, what are we here for, if something needs to be dealt with? I might add that the system of support is sometimes too rigid, people feel almost criminalised at times with genuine needs who need genuine help and other people are abusing the system, so that needs balancing out to ensure we don’t waste money." Deputy Green: "No we don’t do enough, not focussed on what disabled people can do we concentrate on what they can’t do… nor do we look after the carers. There’s a lot more work to be done." "Should we put more money into disability? The answer is yes… so we are going to need to put more money in certain areas. We are not doing enough for the disabled. Senator Routier and I have allocated some of our budget now to start a mapping process of disability. We do not know what all the conditions are, how many people there are, therefore we can’t even properly plan all the services that we need or make the changes to the buildings. So we’re starting that work and it’s got to be done in conjunction with business as well; it’s about public awareness… and what businesses are going to need to do as well to look after the people who are working for them, because it’s about ability. We’re not doing enough but we are absolutely committed to doing more… and once we’ve done the mapping and research we’re going to have to spend a lot more money, is that the right thing? I believe it is." "I was appalled when I heard that at the Grouville hustings and I have had another. Yes, that is going to be high on my priorities… We will find a solution and implement that in short order." With this in mind, the Council of Ministers, and the Assembly, should welcome the amendment which I lodged today, reallocate a starting sum of £100,000 to be used for the purposes of the Minister delivering on this election promise. I shall be very disappointed not to receive unanimous support for this, although such disappointments are not uncommon. It should be noted that the wideness or narrowness of any proposed scheme (i.e. how many people are likely to be eligible) will have an effect on the overall cost of the scheme. It will also depend on what level of subsidy/discount, if any, the current bus operator will give, but it should be noted that Liberty Bus’s own website confirms that CT Plus is committed to Social Enterprise (presumably a modern phrase for Social Corporate Responsibility). It may well be that part of that Social Enterprise can be to offer free bus passes for the disabled, or at the very least, offer a discounted fair, with the rest being funded by Government. People in Jersey may disagree on how much money we should spend on Income Support, who should qualify for free TV licenses, and how money should be spent generally. It seems to me, however, that in a decent, civilized society, decent provision should be made for those need assistance to do other things that many of us take for granted. It is important too, as the Health Minister Andrew Green has said, that we focus on what people can do and not what they can't, and this initiative recognizes the courage and resilience that many in our society show in the face of (sometimes hidden) physical and mental adversity. The people I have spoken to overwhelmingly support the idea that disabled people should be given free travel on public transport (i.e. buses). I hope the States will endorse this amendment and send a strong message of solidarity to these people who play an active role in our society despite the challenges they may face. Les Quennevais - Time to move the Parish Hall? 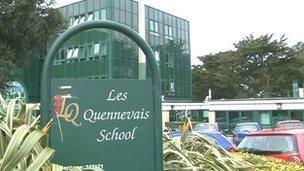 Today, the public consultation on the possible sites of a new Les Quennevais School has begun. As a former pupil, someone who grew up in the area and, of course, in my capacity long-standing political representative for the area, I am keen to make sure we get this right. I believe a new school is long overdue.Teachers, parents and pupils must be commended for their continuing efforts in the pursuit of excellence and the current school achieves excellent results, but it is despite the inadequate 1960s building, which is no longer fit for modern needs, and vastly undersized. A balance will need to be struck to mitigate any loss of green fields, and I believe the way to do that is to avoid high density housing on the current site, which will no doubt be the preferred option, given the current housing shortage. I am calling for serious consideration to be given to moving the Parish Hall to that site, right in the heart of the Community, where the vast majority of people live - not tucked away in the village of St Aubin, far from most residents, with its parking issues. I believe to win around public opinion from the area, people will want to know, quite rightly, what will happen with the current site and that thought has been given to a decent community space, yes, with some quality housing (preferably affordable, sheltered and social), but moreover, open green spaces, allotments and shared community facilities. If Education, Planning and Ministers can aspire to this, then there is no reason the new plans cannot be a win-win for everyone. Tomorrow, I will bring my projet, p.44/2105, to the States Assembly. It should be considered a very moderate proposition asking two things: that the Treasury Minister instruct SoJDC not to proceed with any buildign work, or further binding agreements, until the Corporate Scruinty Panel have finished their review, and presented their findings to the States. This should be done in approx 6 weeks, if they are given the information they need. Secondly, it asks the Council of Ministers to subsequently bring the plans back to the States for approval. This request is more likely to succeed that asking for a referendum, which I had done previously. Below, is a short video provided courtesy of Voiceforchildren. I thank him for kindly facilitating this posting, which is really a follow up to my earlier interview on 5th June. I hope it is helpful. Please take a chance to watch, share and leave a message.